I had a second or two to nip into the road to snap this photo on my camera. 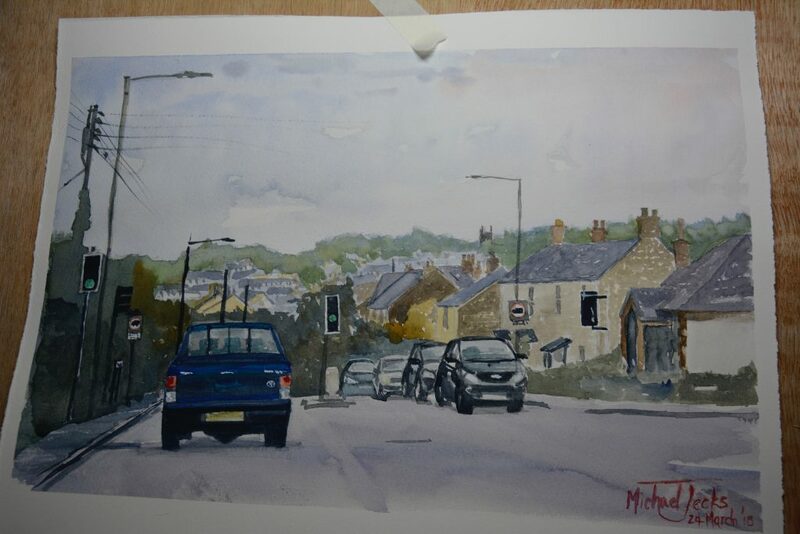 I liked the view going down the hill into the town, and when I got home I had to paint it. This entry was posted on Tuesday, April 3rd, 2018 at 1:20 pm	and is filed under Dartmoor, Devon, Paintings. You can follow any responses to this entry through the RSS 2.0 feed. You can leave a response, or trackback from your own site.